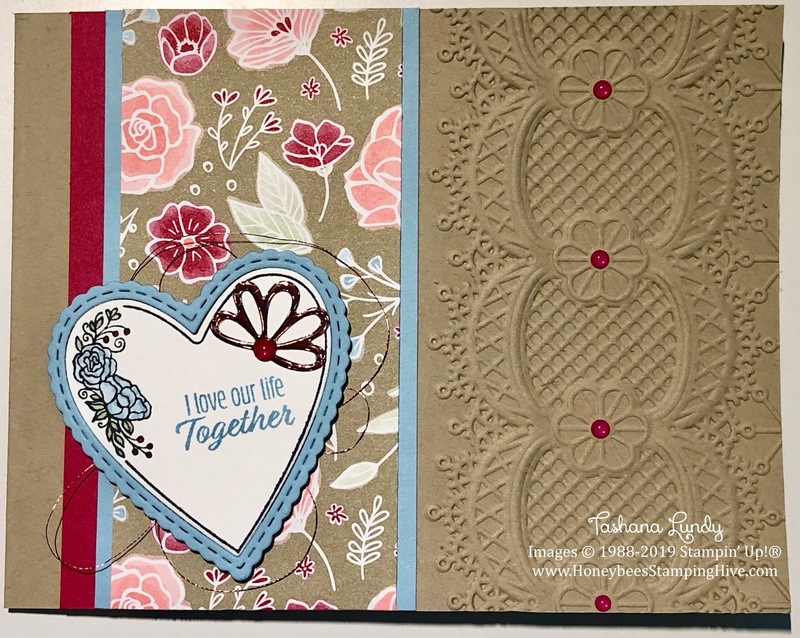 I think this may be one of my favorite cards that I have made using the All My Love Suite of products. I really like the layout. I am so proud of myself, coming up with the design all on my own. Which we all know is very rare. LoL I added the Lace Dynamic Textured Impressions Embossing Folder to the edge of the card and it enhanced the the card a great deal. Don't you just love the pop of color the Happiness Blooms Enamel Dots add to the Crumb Cake cardstock. I really like the contrast.